InsideEdge Trader powered by Rithmic , CQG, and CTS data technology is a powerful trading platform supporting any trading style. 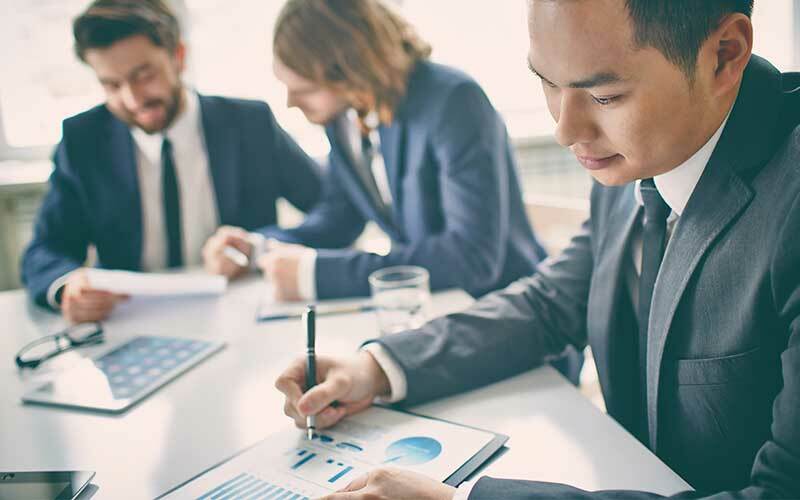 Day traders to professional money manager will benefit from the platforms adaptable technical tools including chart trading, advanced volume analysis, and programmable execution strategies. 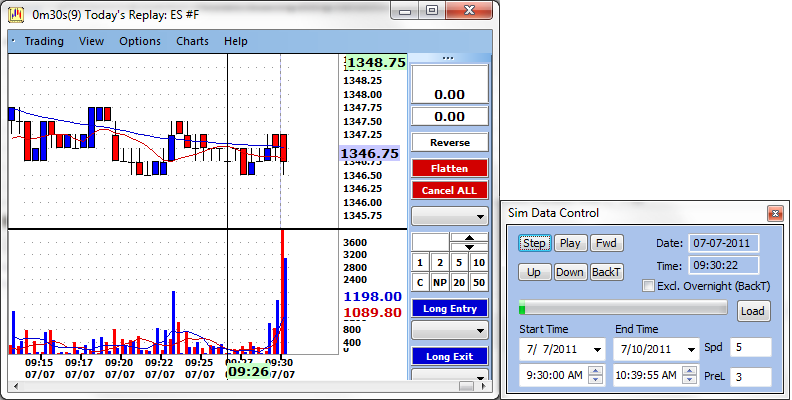 Standard version is a complete charting and trading platform. 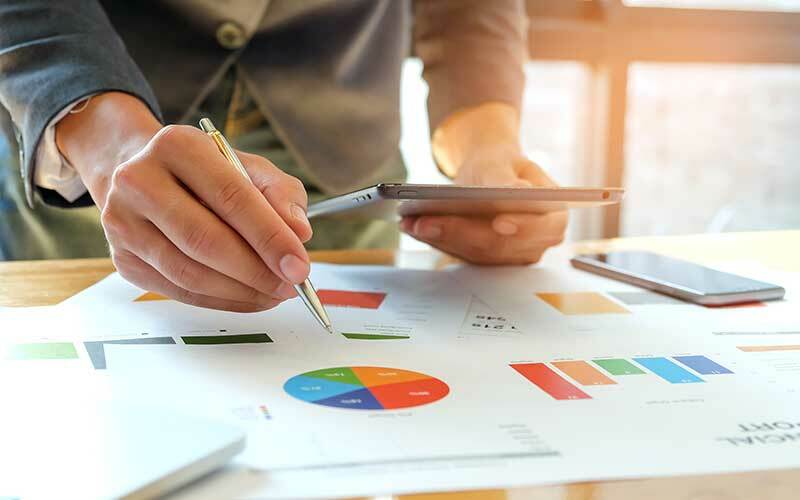 The software uses accurate realtime data sourced from IQFeed, historical data, multiple order entry tools, including trading through the charts, unlimited simulation, complete and customizable charting indicators, and drawing tools. 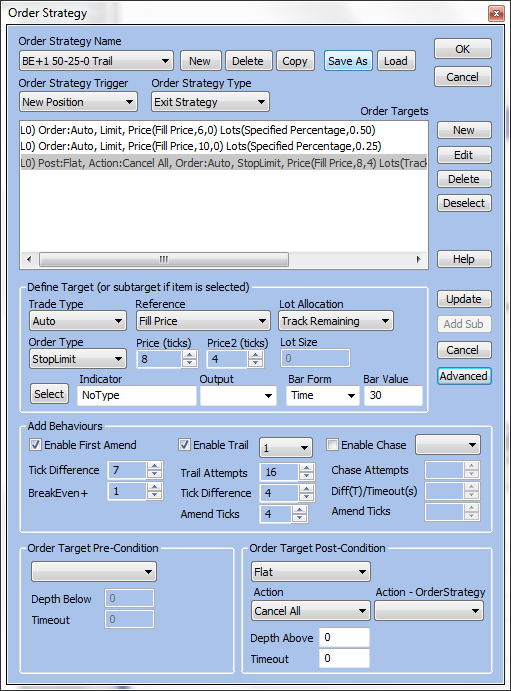 Automation version adds the ability to build trade strategies with a simple dialog based interface. This version also allows you to take signals from third party platforms such as Trade Station and route them to your broker of choice. Professional version adds advanced tick by tick order flow analysis in simple to view charts with split volume, cumulative delta studies and the institutional volume filter. This version is a must have for the serious trader that want to watch the auction market process in action. Trading through the charts is the easiest order entry method with InsideEdge Trader. 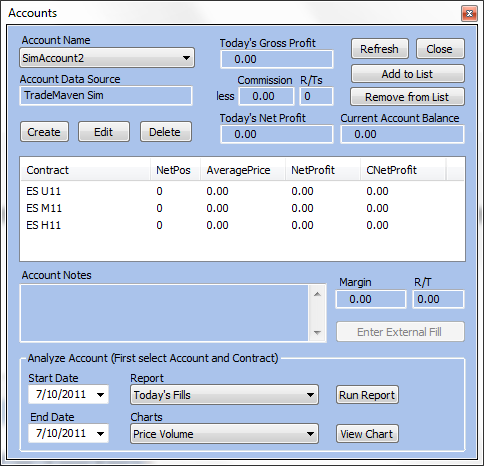 Trade by clicking on the price bars or candles to enter and manage trades. 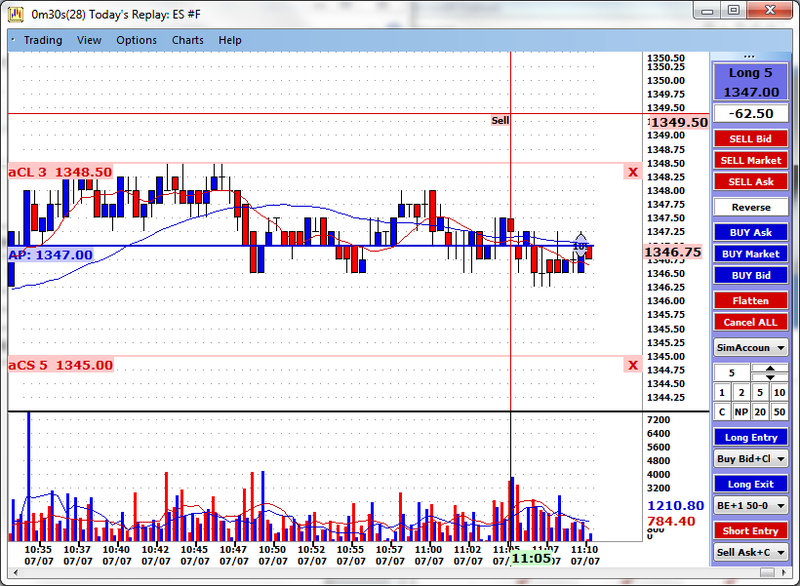 Chart based trading is the easiest method of order entry. Several different traditional depth of market (DOM) screen are available to fit different styles of trading. These screens displays the market depth and highlights the bid/ask. 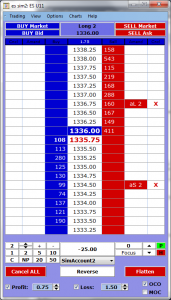 InsideEdge Trader includes unlimited charts in any increment for any futures market. The charts have several years of accurate tick data directly from the exchanges. The charts can be configured in any time frame, tick, renko, volume, heikin-ashi, or range-bar based internals and can include any indicator. Using the principles of state-event machines, time sequenced strategies can be built that allows step by step condition evaluation prior to triggering a trade. 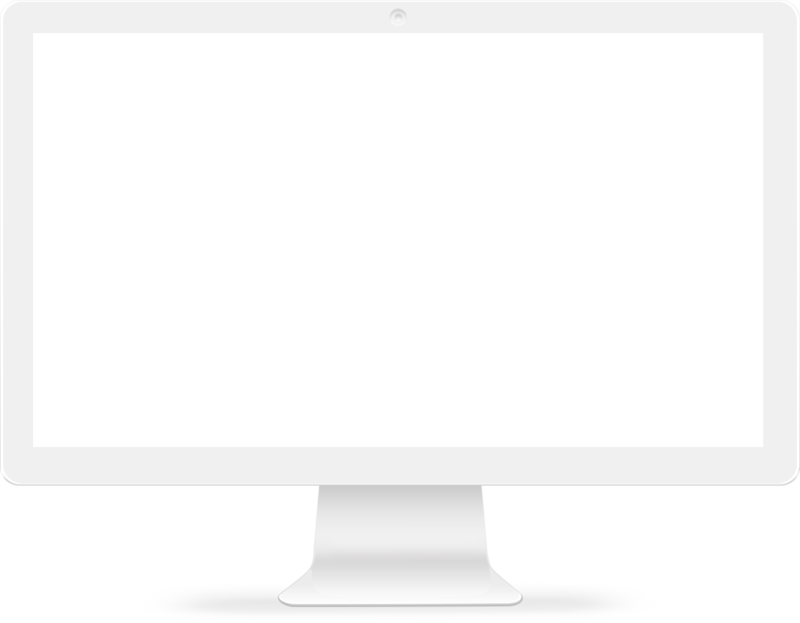 No programming skills are required since the strategy is created using built in dialogs and menus. This tool also allows integration to TradeStation, eSignal, or 3rd party software.